Help earn thousands of dollars each year for Chabot through your everyday shopping! Chabot PTA has partnered with businesses that contribute a portion of their proceeds to our school when we shop or dine there. We encourage you to support these businesses and help raise valuable fundraising dollars for Chabot. A description of each program is below. Use this link for Chabot’s Special Amazon gateway where 7% of the money you spend will be donated to the Chabot PTA. You can also click the Amazon logo on the home page..
Here’s an easy way to help earn cash for our school! Before you throw away your empty cereal box, pasta box, canned good, etc., cut the label and bring it to school. There is a wide range of participating products such as Hefty, Annie’s, Ziploc, and Nature Valley to name just a few. See full list of products here. There is a jar located in the main office to deposit your trimmed Box Tops. As long as the expiration date and product code are visible, we’ll accept labels however they’re clipped! Happy Clipping! Chabot T-shirts and sweatshirts are a great way to show your school spirit, and all sales benefit the Chabot PTA. Register your credit & debit cards to automatically earn for Chabot whenever your use these cards at participating merchants and restaurants. 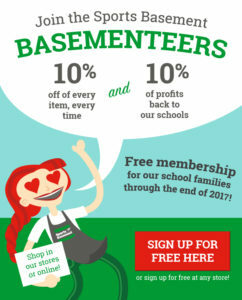 Become a Basementeer – Mention Chabot when you shop at Sports Basement and receive TWO benefits. You receive 10% off of your purchase and Chabot receives a 10% donation! Shop for Gifts and Home Goods at Boon Supply Co. and Earn 50% Back for Chabot! Boon Supply Co. is an online home goods store that will donate 50% of shopping proceeds to Chabot Elementary. You will find storage and organizing gear, kitchen and garden essentials, and much more. Make sure to choose “Chabot Elementary School Fundraiser #90086” in the search for a fundraiser before you check out, or you can follow this link. Happy shopping! The holidays are right around the corner and now is the time to purchase your holiday cards. We have partnered with Minted this year, who will give 15% to Chabot and 15% off of every Minted item you buy from November 1st- November 30th. 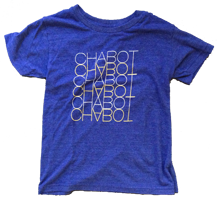 Use code FUNDRAISECHABOT to support Chabot Elementary School. For the months of October & November 5% of every grocery order you place on Good Eggs will go back to Chabot Elementary School. Shop today for same-day delivery straight to your doorstep––no subscription required. Delivery is free on all orders over $60. Please help us spread the word about earning free money for our students and Chabot. Once you have registered yourself or used any of the shopping links, talk up the program and get family, friends and co-workers to sign up too.